Saturday, SEPTEMBER the 8th, 2018, beginning at 7pm. 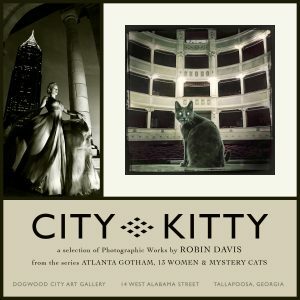 An hour’s drive from Atlanta sits the classical Southern town of Tallapoosa Georgia with a historic downtown streetscape featuring the Dogwood City Art Gallery, dedicated to featuring regional artists since 2012. This exhibition features 33 images from three different bodies of Robin’s work, curated by Merci Howe.